Today will see The Offshore Academy begin race two of the 2017 Classe Figaro Bénéteau season, the next step in preparation for the Solitaire Urgo le Figaro in June. British skippers Mary Rook and Hugh Brayshaw will take on very different conditions to their experiences in the previous race, the first of the season. The Solo Normadie race saw the sailors battle 35kts of wind and 2.5m waves providing challenging sailing conditions for the single handed fleet. Medium to light winds are forecast for the Solo Concarneau this weekend and will require a very different set of skills. The Solo Concarneau will see 37 boats featuring 6 rookies, 4 women and 3 Brits lining up on the start of the 340 nautical mile race. Joining the fleet for the first time this season is Jeremie Beyou, fresh from the podium of the solo non stop around the world race – the Vendee Globe, and having been announced as a crew member with Dongfeng Volvo Ocean Race Team, he will race his Figaro ‘Beyou Racing’. 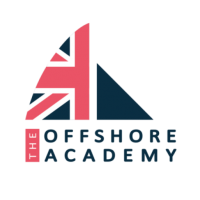 The Offshore Academy sailors will be looking to better their previous results from the 2016 edition where Brayshaw narrowly beat Rook by 2 places coming in 17th and Rook in 19th. Academy Alumni sailor Alan Roberts continues his campaign in Seacat Services starting his 4th Solo Concarneau race and will be hoping to consolidate on his top 10 finish in 2016. Mary Rook – Skipper: Inspire+ commented “I’m looking forward to getting back out on the race course again, actually being able to race instead of survival mode for this race will be great. The shore team have done a great job in getting the boat back ready to race after my little mishap. This race will be great preparation for the Solitaire later in the year as leg three will be raced on the same stretch of water, it should be pretty tactical with the potential of multiple lead changes and wind transitions to navigate which will be challenging. I had some great boat speed in the last race, if I can position myself in a good group and be tactically smart, I hope to get a good result on the scoreboard. “The race course is a testing distance with a few tricky navigational points that will challenge this big fleet and I can’t wait to be in amongst it and line up against some offshore legends. I have set myself some goals for this race which mostly focuses on these navigational pinch points and sacrificing some steering time to sit down at the chart table and go through plans of attack. Overall I can’t wait to just be out racing again and progress my skills even further.